Many tourists flock to this Mediterranean archipelago for its golden sands and sprawling resorts. 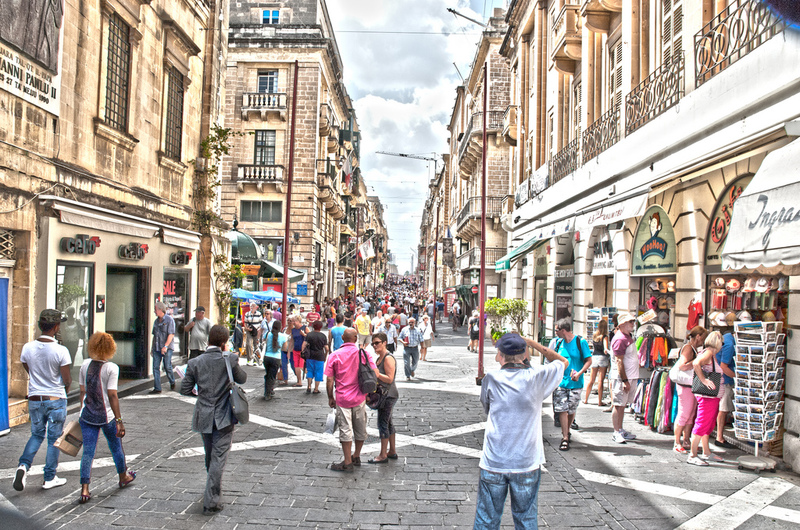 But with its rich culture and fun filled attractions, there are many other reasons to visit Malta. With a succession of different rulers from the British to the Romans, there are no shortage of ancient wonders in this sunny country. One of the most popular is St John’s Co-Cathedral in the capital, Valletta. At the highest point of the city, you’ll find another spectacular building, the Auberge de Castille. Built in the 16th century it has impressive views across the city and rolling countryside. On the neighboring island of Gozo, you’ll find an iconic natural formation known as the Azure Window. This limestone arch rising through the crystal waters has long been a favorite of photographers and painters. Wildlife fanatics will also enjoy a day at II-Majjistral Nature and History Park. You can take a guided tour along dramatic cliffs, agricultural lands and coastal paths. This island has a rich culture which dates back to the arrival of man, over 7,000 years ago.The National Museum of Fine Arts houses a collection of stunning pieces from both Maltese and foreign artists. For a fascinating insight into the island’s major strategic role in World War II head to the Malta War Museum. Fans of the outdoors will be spoilt for choice when it comes to thrilling activities. The island of Gozo remains a favorite destination for rock climbers and mountain bikers with its steep cliffs and rugged landscape. It’s also world renowned for its many dive sites including shipwrecks and undersea caves. Republic Street in the capital city is the best spot for a shopping splurge where you’ll find plenty of designer boutiques and antique shops. Be sure to visit the nearby daily market held on Merchant Street where you can haggle for traditional filigree jewelry. Traditional Maltese cuisine is a feast for the senses. You’ll find plenty of local restaurants serving fresh seafood alongside locally sourced products such as cheese and olives. Be sure to try the local favorite, Pastizzi – a savory pastry filled with ricotta cheese or mushy peas. There are plenty of pubs and clubs to be found, especially in the towns of Silema and St Julian’s. To party with locals, head to the Paceville area which is a popular hangout for young Maltese. The Maltese are one of the most hospitable people you’re likely to meet. They are widely recognized for their generosity and will be more than happy to help, should you need it. During the summer months, you can expect long, sunny days with average temperatures ranging between 24 °C and 32 °C. Even during the winter is stays pleasantly warm with few, rainy days. If you’re planning a beach holiday to Malta, be sure to explore everything this country has to offer – you won’t regret it.